Wild morning, beauties! It’s autumn and you all know how much I’ve been rambling on and on about how pretty the leaves are, how chilly it is, how I love my green tea. Okay, I decided to take a step back and stop, because it’s getting annoying. Anyways, I will mention the world autumn again, but only in a proper context, I promise. It’s time I focus on autumn skin and hair care. This time: shea butter for damaged hair and itchy scalp. 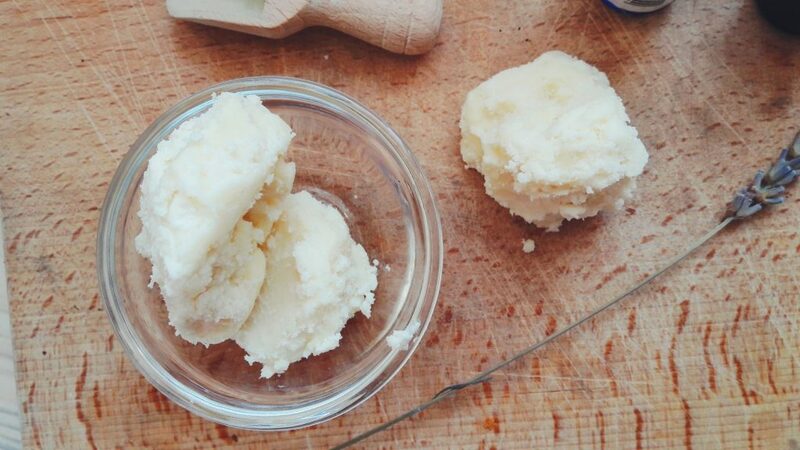 What is shea butter, actually? Does shea butter have any hair health benefits? How can I use shea butter? Are there any shea butter hair masks? Shea butter is extracted from nuts of the shea tree, which is native to Africa. It is a moisturizer, very popular in the beauty industry. 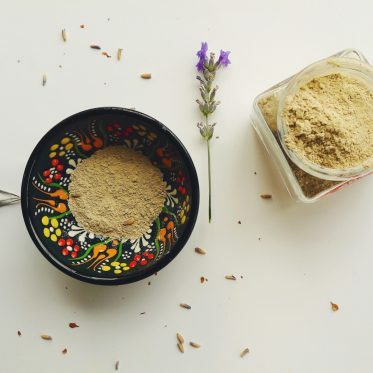 It is very nourishing for the skin and hair. 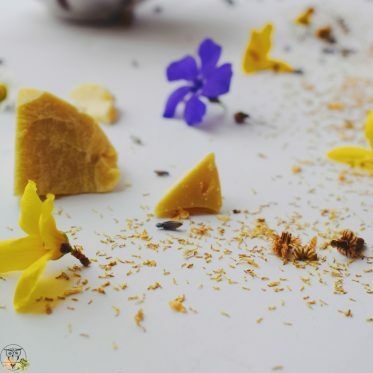 Yellow in color when raw, shea butter has ivory-ish or white color when unrefined or processed. Shea butter comes from the name of the tree, on which the nuts grow. It has many different names among different parts of Africa: you may have heard of karité, or perhaps kaɗanya or kaɗe. Apparently, the use of shea butter goes way back into the history, back to the Ancient Egypt and the beauty queen Cleopatra. 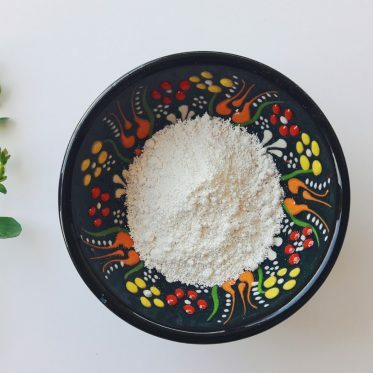 It has been ever since used as a skin and hair moisturizer, a natural protection from the hot sun and dry winds and a natural remedy for dry and damaged hair and skin. Shea butter is rich in vitamins E and A. Make sure to check this article on detailed shea butter properties and benefits. Shea butter is reported to have anti-inflammatory properties for the skin, which means that it offers a healing and soothing relief to an inflamed and irritated skin or scalp. With its emollient properties, apply shea butter for damaged hair twice a week, especially if your hair is curly, brittle or dry. 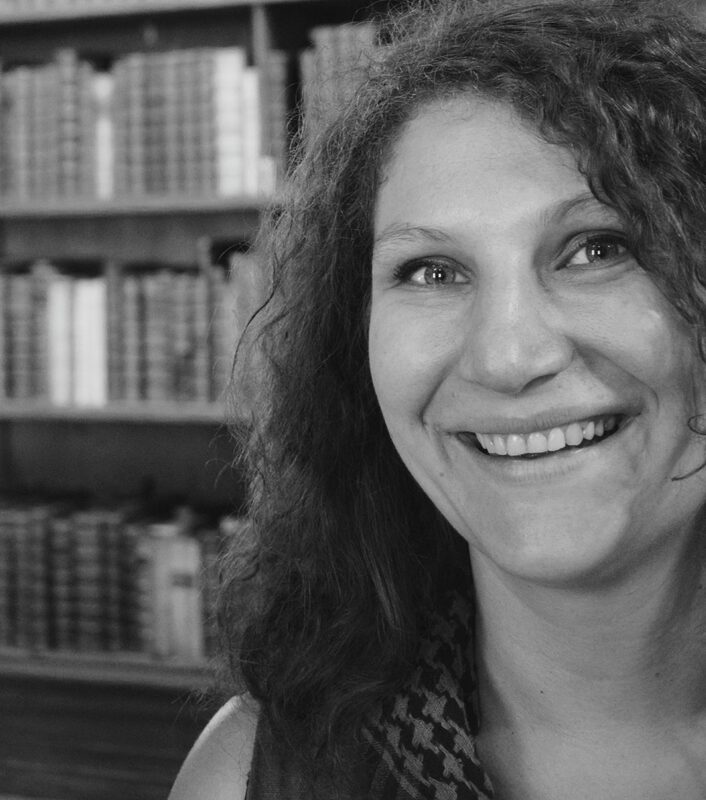 My hair is curly and it adores shea butter because it softens it, and the consistency at the same time is not too greasy, which I like a lot; much more, in fact, than with the coconut oil. I do use coconut oil on my hair quite regularly as well; if you want to know more about coconut oil as a hair treatment, have a look at this post. Let’s face it; we use (or have used in the past) a lot of shampoos, conditioners, hair products and blow-dryers, and all the rest of the products that damage hair on a daily basis. With a little patience, you can soon observe the wonders of shea butter for damaged hair, as it helps restore the hair moisture, protect the hair from dry winds, strong sun and other harsh weather conditions. With its anti-inflammatory properties, shea butter is a natural remedy when it comes to an itchy scalp. 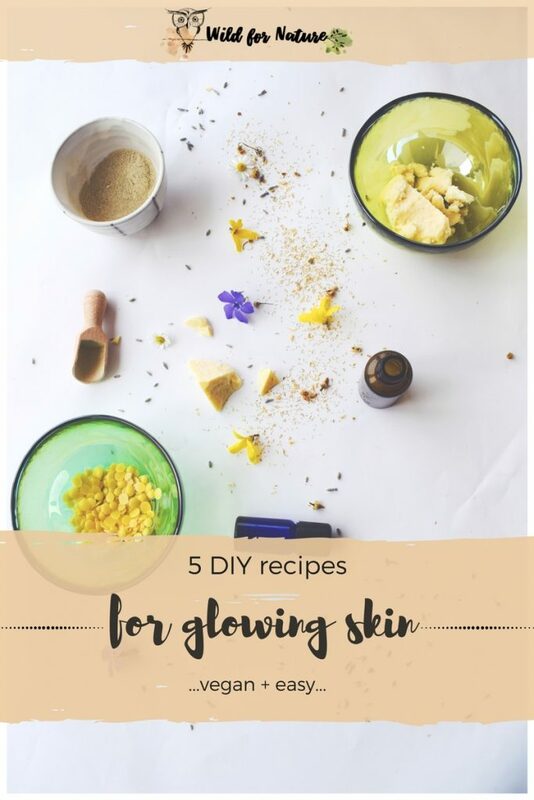 The butter gets absorbed into the skin without any traces of residue. Shea butter’s regenerative effect on your hair and scalp give a natural shine to the hair, making them look healthy and strong. 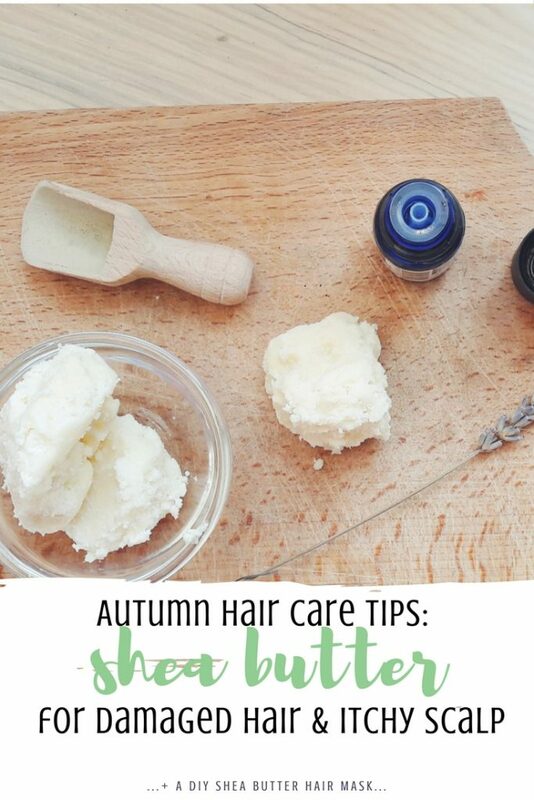 Use shea butter for damaged hair or split ends regularly and enjoy the results. Shea butter is a natural SPF, which can offer a mild protection to the hair and prevent the damage that would normally occur. Shea butter’s SPF is 6, so I would use it with precaution for my skin (as discussed in this post on natural oils), but I see no reason whatsoever as to why it shouldn’t give my hair an extra protection. There are a number of ways to use shea butter in skincare and haircare; you can use it as a main ingredient when making homemade products, but it is widely used in store-bought products as well: lotions, lip balms, body butters, hair conditioners, hair masks, and even soaps. 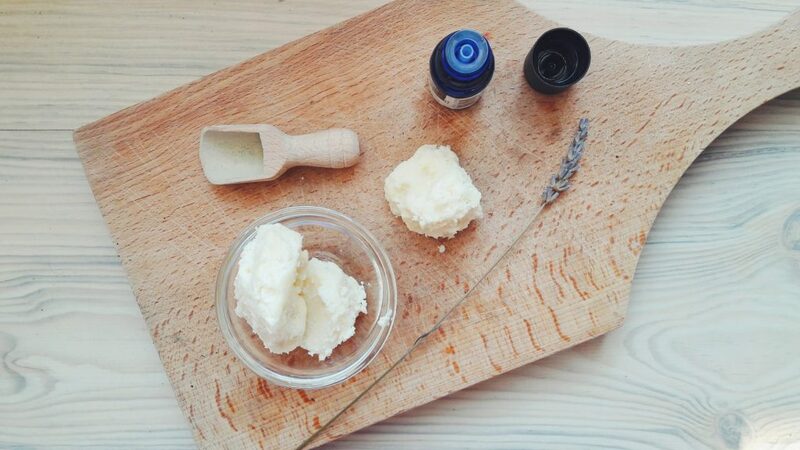 Shea butter is a natural moisturizer and it nourishes dry skin and brittle hair. In some countries, shea butter is used to make candles, ointments and in some cases, it is even used as a cooking oil. The procedure for this one is very simple: I take a piece of shea butter, melt it (either in a double broiler or leave it close to the heater). I then apply it on my scalp, massaging well, leaving in on overnight. In the morning, I wash my hair as I normally would. This procedure is again, simple, with a few extra additions. 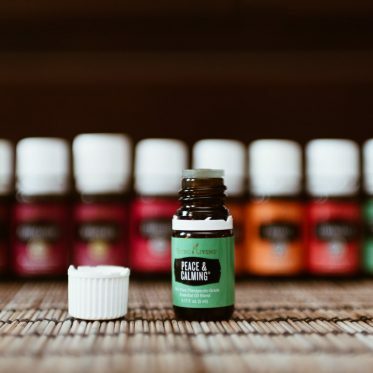 I normally don’t leave this overnight, simply because I feel like the essential oils might be too strong and I have had mild reactions to them in the past. Even though it was my fault, I like to be a bit cautious from then on. Shea butter (1 larger piece or 3 tablespoons)- this is the amount for my hair, but it may vary, so add as much as you think you need. It could be more or less than mine. Apply to dry hair, massage the scalp well and proceed until you have covered the hair and the scalp completely. Let the mask sit for as long as you can. Ideally, I leave it on somewhere between 2 and 3 hours. I wash my hair before I go out and it usually smells divine (that was when I added wild orange essential oil to the mix). Update: I have used an old instruction paper of mine for this hair mask and I must have forgotten to write down my comments. I made this hair mask a few days ago and personally, I don’t like it. Shea butter leaves my hair too sticky, it’s difficult to wash off. I do apologize, from now on it’s always test first, write later. This is the only recipe that was done in the wrong order. I will publish a new post in the near future on how to include shea butter in cair care, but will definitely use LESS of it. In my humble opinion, shea butter for damaged hair is one of my personal top three favorite hair treatments (along with coconut oil and argan oil). Plus, I really like its nutty smell. It is very pleasant and soft; it reminds me of a very nutty chocolate. And who doesn’t like chocolate, right? 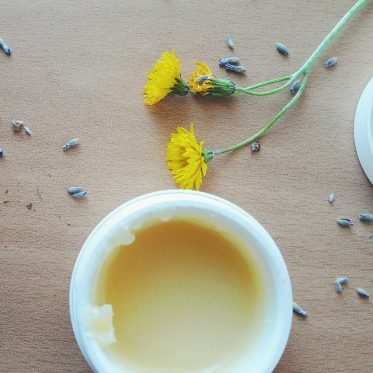 In case you have an itchy scalp and it has happened as a result of over washing, hot blow-dryers and chemicals in your shampoo, add an essential oil that nourishes and soothes that kind of thing; I’d suggest you use tea tree essential oil, lavender essential oil or eucalyptus essential oil. If you want to know more natural remedies for itchy scalp, have a look at my post here. 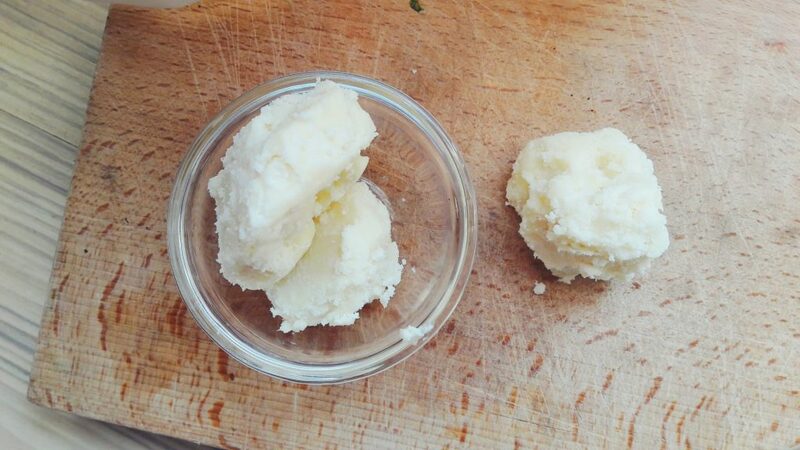 What’s your fave way to use shea butter?